With us, you get the most profitable monetization of media inventory and social networks, access to innovative SLDS tools, and expertise of the trusted industry leader. We will advise you on technical and marketing aspects, help optimize your work in digital space, and boost your audience coverage. Our partners are content-oriented web resources with the various target audiences: women, sports, culinary, medical and news, online cinemas, educational and entertainment resources and more. We cooperate with Videonow video network, place video advertising on the top legal online-cinema TV Zavr, as well as on video networks Rutube and Pladform. Partner of StarLight Digital Sales, Selectivv Mobile House, has a long success-story of being the leader in the mobile advertising market in Central and Eastern Europe. Cooperation with StarLight Digital Sales helps our partners maximize their inventory and grow it. Video SSP (Sell Side Platform) from >Adtelligent. Innovative technology for video monetization. It connects the interests of the largest advertisers, leading advertising networks, RTB and DSP, presenting the most profitable way of monetizing every single page view. DSP Adtelligent. The newest advertising management system for publishers from one of the world leaders in the market of ads technologies >Adtelligent. 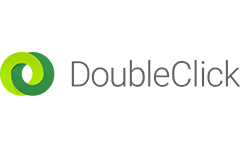 Google’s DoubleClick. A complex of leading decisions for advertising management in the programming ecosystem that enables optimization of any type of advertising. All-in-one comprehensive tool developed by Google suitable for all devices.